This fall, “America’s favorite mezzo” (Gramophone) Susan Graham kicks off the 2017-2018 season at the Houston Symphony in an evening featuring arias from her signature roles and favorite showtunes. Susan and the Symphony are joined by conductor Gustavo Gimeno for performances of French chanson, selections from Offenbach operettas, numbers from Broadway favorites My Fair Lady and The King and I, and more. The Houston Symphony bookends the evening with works by Ravel, Tchaikovsky, and Bernstein. 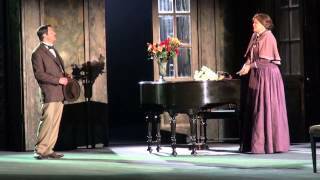 “Longtime favorite of audiences in Santa Fe and around the world” (Los Alamos Daily Post) mezzo-soprano Susan Graham continues her summer as the ritzy Prince Orlofsky in the Santa Fe Opera’s production of Die Fledermaus, which opened June 30 with performances through the end of August. Nicholas Carter leads the Ned Canty-directed productions, where Susan is joined by Kurt Streit as Gabriel von Eisenstein, Devon Guthrie as Rosalinde, David Govertsen as Frank, Dimitri Pittas as Alfred, and Joshua Hopkins as Dr. Falke. Performances of Johann Strauss II’s most-celebrated operetta take place on August 7, 14, 19 and 26. 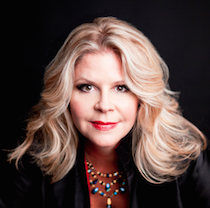 Susan Graham returns to Carnegie Hall on May 31 for a program of Mahler with Esa-Pekka Salonen and the Metropolitan Opera Orchestra. The Grammy-winning mezzo-soprano is joined by tenor Matthew Polenzani for selections from Des Knaben Wunderhorn. The evening’s program also includes Mahler’s Symphony No. 1. In advance of her performance, Susan sat down with “Living the Classical Life” host Zsolt Bognár to discuss her journey as an artist, highlights of her distinguished career, and her new role as Artistic Advisor to LA Opera’s Domingo-Colburn-Stein Young Artist Program. Watch the full interview here. 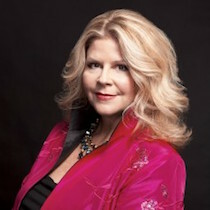 Next month sees Susan Graham fêting the Metropolitan Opera’s 50th anniversary at Lincoln Center. The American mezzo-soprano, who won the Metropolitan Opera National Council Auditions in 1988 and debuted with the company in 1991 under the baton of James Levine, is featured as part of an all-star lineup on May 7. Other featured artists in the sold-out gala include Plácido Domingo, Renée Fleming, Anna Netrebko, Matthew Polenzani, Ferruccio Furlanetto, René Pape, James Levine, Marco Armiliato, and Yannick Nézet-Séguin. Director and set designer Julian Crouch and projection designers 59 Productions will stage the concert, which also highlights the Metropolitan Opera Orchestra and Chorus.